Many people think it is unlikely that they will be involved in a serious car accident. 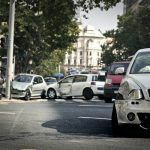 While it is true that the chances are low that you will be involved in a crash on any given commute or trip to a grocery store, auto accidents happen frequently and without warning. The National Highway Traffic Safety Administration (NHTSA) reports that more than 3,000 traffic fatalities take place in California every year. In the city of Paradise alone, there have been more than 30 auto accident deaths over the past ten years. While accidents can’t always be avoided, drivers should be aware of some of the accident factors that commonly cause fatal collisions. Driving at unsafe speeds is listed as the primary causal factor for more traumatic vehicle accidents than any other violation in Northern California. Driving at high speeds is dangerous because it means that drivers are not able to safely navigate roads. The faster a vehicle is moving, the less able it is to make turns or avoid hazards in the road. Fast-moving vehicles also take longer to stop, which can make it impossible to avoid a collision if another vehicle suddenly stops in front of you. In addition to making driving more dangerous, traveling at high speeds also increases the risk of fatal injuries in the event of a crash. Collisions involving fast-moving cars have much more force and are more liable to cause serious damage to vehicle occupants. Another common cause of fatal vehicle accidents is driving while intoxicated by drugs and/or alcohol. In Paradise, around ten percent of car accidents involving injuries are caused by an impaired driver. However, around 15 percent of fatal crashes were DUIs. This means that DUI accidents in Paradise have been about 50 percent more likely to cost someone their life. Furthermore, NHTSA reports that one-third of fatal car accidents that happen in the US are caused by an impaired motorist. Nearly one-third of fatal accidents in Paradise were caused by a pedestrian violation, which was the leading cause of fatality collisions in the city over the past ten years. Pedestrian accidents are often fatal because pedestrians lack the protection that vehicles offer and can be seriously injured even in low-speed crashes. When pedestrians fail to walk in designated pedestrian areas or cross streets against red lights, drivers are less able to anticipate where they will be and this can easily lead to a severe crash. After fatal accidents, families can be left wondering how they will be able to go on. Not only do those who have lost somebody in a car accident need time and space to process their grief, but losing someone in your life also comes with serious financial consequences. Car accidents often leave households without an income earner or leave dependents without access to essentials like housing and food. These issues can be overwhelming and the emotional pain of saying goodbye to a loved one often makes it difficult to deal with even normal daily tasks. For this reason, people often postpone calling an attorney. However, speaking with a Paradise wrongful death lawyer as soon as you are able to is often a vital part of recovering the money you deserve for your losses from the parties responsible for the fatal collision. To learn more about recovering fair compensation after a fatal crash, watch the video below. What is a Chico Personal Injury Lawyer? I’m Ed Smith, a Paradise wrongful death lawyer. 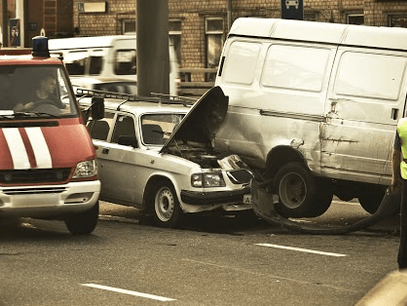 When crashes occur, they can cause serious or fatal injuries. If a crash has affected you or a loved one, please speak with me and receive free, friendly advice. You can reach me at both (800) 404-5400 and (530) 392-9400. I have helped Paradise residents claim full compensation for wrongful death and personal injury cases for 37 years. You can see my past successes by viewing my firm’s settlements and verdicts page. I have won a client over one million dollars in a single case and am part of Million Dollar Advocates Forum. I founded Northern California’s leading car accident, wrongful death, and personal injury website – AutoAccident.com.